# Max. distance spindle to table 13"
# Table travel (longitudinal) 18-7/8"
# Table travel (cross) 6-7/8"
# Table size 7-1/8" x 26-5/8"
# Approximate shipping weight 386 lbs. # Table Capacity 125-150 lbs. I got my Grizzly G0704! These mills are commonly referred to as BF20's with L designating a long table with extra X axis travel. They've been around for years in Europe and Asia along with a few places in North America but with a less desirable MT spindle. R8 spindles are now becoming readily available and with recent editions from Grizzly and others their popularity is booming. I've wanted one for years. Their superior design and quality construction puts the other mills to shame and often for the same or less money. The BF20 is in the same size range as an X3. There are other sizes of BF class mills from 16 to 46. The # is the approximate drilling capacity in mm's. Use the drop down menus below for much more information. Be sure to check back for new additions as I'll update as new info and projects arise. Scroll down to see pics of my adventure and follow the blog. 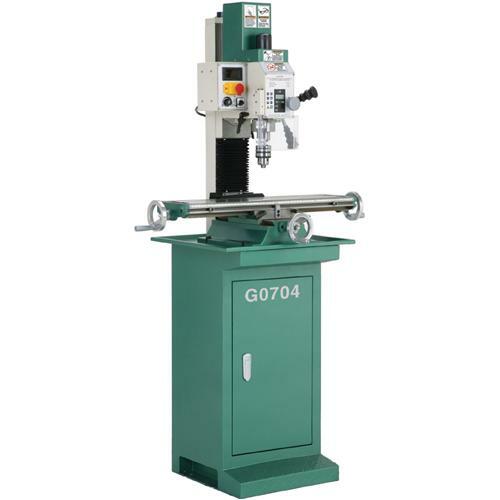 I just ordered a G0704 Mill from Grizzly Tools, a CNC conversion and belt drive are first priorities. 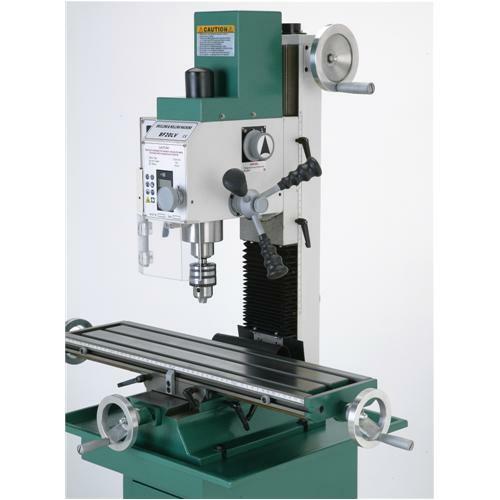 Update: Grizzly is expecting a shipment of these mills on Feb. 15th. Time to prepare. This PDF is for the similar Optimum BF20L Vario. Grizzly pushed back the shipment to March 9, good thing with all this snow! Noticed they posted links to a new pdf manual and parts list. Must still be working on uploading them, I get a server error but they should be available shortly. The mill backorder is pushed back till March 25 now it seems. More time time check out some other builds. These BF20's are not new, they've been available in Europe and Asia for years. Folks there have already done conversions and upgrades to them. These are some links to several I have found, plenty of food for thought for inspiration. Optimum's BF20 Vario has a CNC conversion kit available. Instructions here. Syil makes the X5 CNC BF20 Mill. Doesn't seem available in the US though. Several threads have been made on Cnczone.com by folks sharing their builds. This german webpage by Zietz shows his servo conversion. Google translated version. Has plenty of clear pics during the build. This is an Italian build of a Optimum BF20 Vario in progress. Tero's Project. This quick video on Youtube shows the guy setting up the BF20's tilting head for use as a lathe. MK2 Drehen Mit der BF20 German Mill as Lathe. More of his BF20 videos. BF 20 UREOL (1) quick shot of the Optimum high speed motor adapter. The Mill has been shipped and is currently sitting at the Pitsburgh UPS terminal, looks like I'll have it Monday. You can keep track of all progress with the mill on my 2 huge threads on Cnczone. Part 2 - 9/11/10 to the present.